JEI is an item and recipe viewing mod for Minecraft, built from the ground up for stability and performance. Multiple Searches: Separate terms with | characters, like "wrench|hammer"
Can I include JEI in my mod pack? Can JEI run client-only, or with a vanilla server? 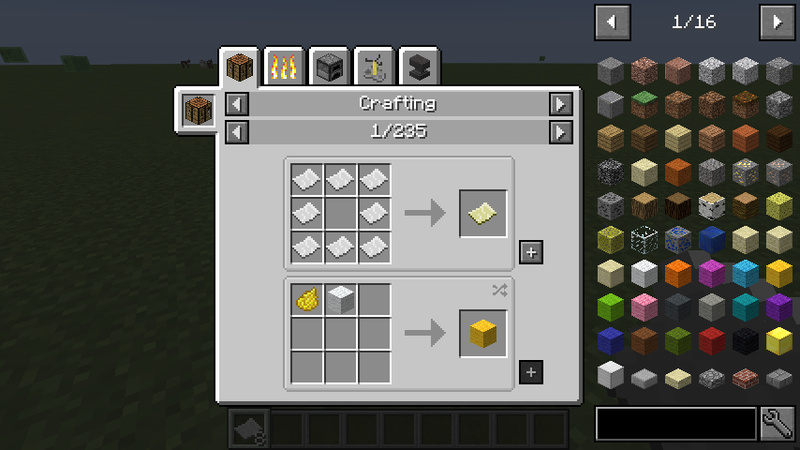 The "Move items into crafting area" [+] buttons. Cheating in items that have lots of NBT data. Where can I find the ___ feature from NEI? The chart here shows which mods support each feature. I have an issue / bug / crash / report / request, where can I send it?